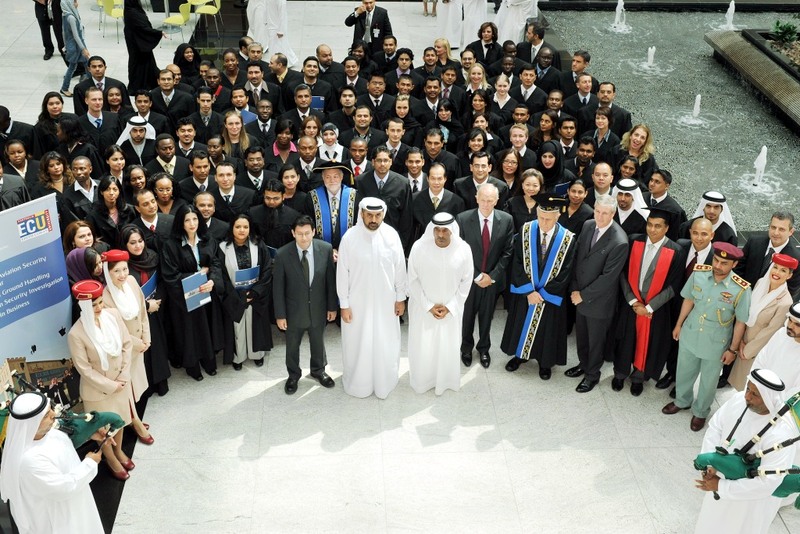 DUBAI, UAE - 26 April 2011 - The Emirates Group Security Centre of Aviation and Security Studies and Edith Cowen University awarded diplomas to over 130 graduates today, including 18 UAE Nationals. During the graduation ceremony, held at the Emirates Group Headquarters, His Highness Sheikh Ahmed bin Saeed Al Maktoum, Chairman and Chief Executive, Emirates Airline and Group and Professor Kerry Cox, Vice Chancellor of Edith Cowan University, presented diplomas to the students for their completed studies in one of three courses of study: Aviation Security Management, Ground Handling and Business. This marks the first graduating class for the newly offered Business Diploma programme. The diploma programmes are offered via a joint partnership between Emirates Group Security and the Edith Cowen University (ECU). The two organisations began their cooperation in 2001 in order to address the growing demand for highly-qualified security professionals. The relationship between Emirates and ECU flourished and led to the establishment of the Centre of Aviation and Security Studies in August 2007. "Security and the development of UAE Nationals are two key priorities for the Emirates Group," said Sheikh Ahmed. "The significant number of graduates receiving their diplomas today, which includes18 UAE Nationals, is a testament to the commitment to training and developing UAE Nationals across the Emirates Group." "We look forward to the future success of these individuals in the Security field," he added. 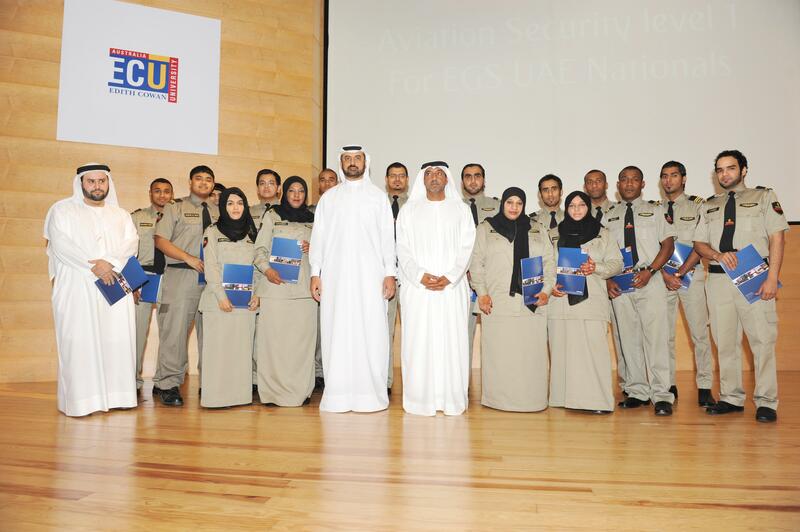 The 18 UAE Nationals receiving their certificates today chose Aviation Security as their field and are undergoing the 3-tier development programme with Emirates Group Security. Today's ceremony was attended by the graduate's families as well as: Professor John Jones, Deputy Vice Chancellor of Edith Cowan University; Tim Clark, President Emirates Airline; Gary Chapman, President Group Services and Dnata; Dr. Abdulla Al Hashimi, Divisional Senior Vice President Group Security; Adel Al Redha, Emirates Executive Vice-President Engineering and Operations; Ali Mubarak Al Soori, Emirates Executive Vice President Chairman's Office, Facility Management and Procurement and Logistics - Non Aircraft and other senior Emirates officials.